The German won Haddad Maia, the Danish beat Larsson and Stephens subdued Babos; Kontaveit fell to Sasnovich and Bertens, against Pavlyuchenkova. 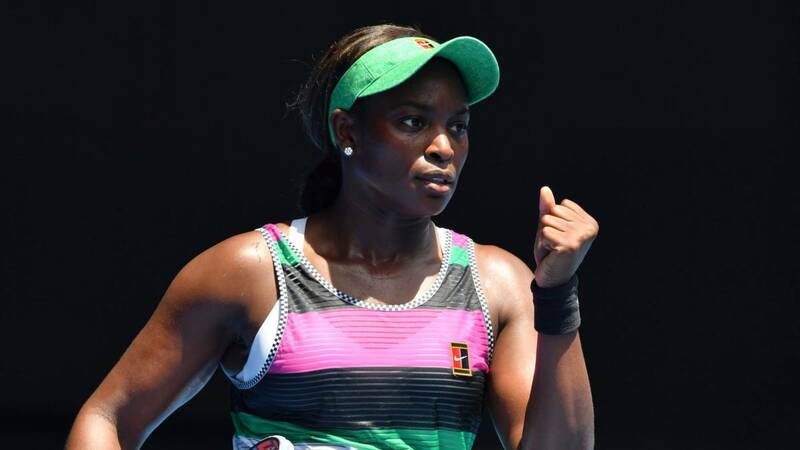 The second round of the women's draw at the Australian Open has started with four foreseeable victories and two relative surprises as far as the seeds are concerned. Reigning champion Caroline Wozniacki overcame Sweden's Johanna Larsson 6-1, 6-3 and will meet in the third round with Maria Sharapova, who beat Sweden's Rebecca Peterson (6-2, 6-1). She also had a quiet Angelique Kerber match, second favorite that won the Brazilian Beatriz Haddad Maia 6-2 and 6-3 and will face the local Kimberly Birrell in the next phase. Sloane Stephens (5th) ended up submitting Timea Babos, her successful junior doubles partner, who resisted in the first set and fell apart in the second (6-3 and 6-1). Caroline García (19ª) was able to with the Australian guest Zoe Hives (double 6-3), who had passed after eliminating Bethanie Mattek-Sands. Also it happened to third round Petra Kvitova, that it surpassed by 6-1 and 6-3 to the Romanian Irina-Camelia Begu, and that will be measured in the following phase to Belinda Bencic. The disappointments came on the part, mainly, of Kiki Bertens (9th) who fell by 3-6, 6-3 and 6-3 to Anastasia Pavlyuchenkova, a 27 year old Russian and 42nd of the world, very dangerous, who took revenge for a painful defeat against the Dutch at Roland Garros 2015. failed Anett Kontaveit, who had unhindered Sara Sorribes but could not with Aliaksandra Sasnovich, the 24-year-old Belarusian and 33rd in the ranking, who won with a double 6-3. The two authors of these surprises will meet in a third round in which there is another decisive pairing: Stephens will face the Croatian Petra Martic. Otra of the favorites, the great Australian hope, Asleigh Barty (15th) won over the chiona Yafan Wang 6-2 and 6-3 in just 65 minutes. With 92% of points won on the net and 29 winners, Barty broke Wang's serve four times and will face Greek Sakkari in the third round . Alyna Sabalenka, eleventh favorite, who beat the British Katie Boultier (6-3 and 6-4) in two sets and will meet American Amanda Anisimova in the next phase. the surprises of the day after beating the Ukrainian Lesia Tsurenko, twenty-fourth favorite (6-0 and 6-2).